It's easy to find yourself buried in remotes as you seek to build the perfect home entertainment system. Logitech's Harmony remotes have long sought to reduce the clutter, but they're spendy. 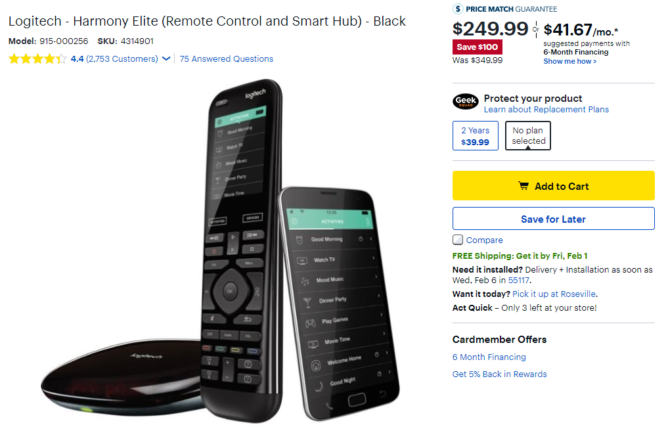 The flagship Harmony Elite usually costs a whopping $350—you can get a TV for that price. It's $100 cheaper right now, and Best Buy will even throw in a $50 gift card. 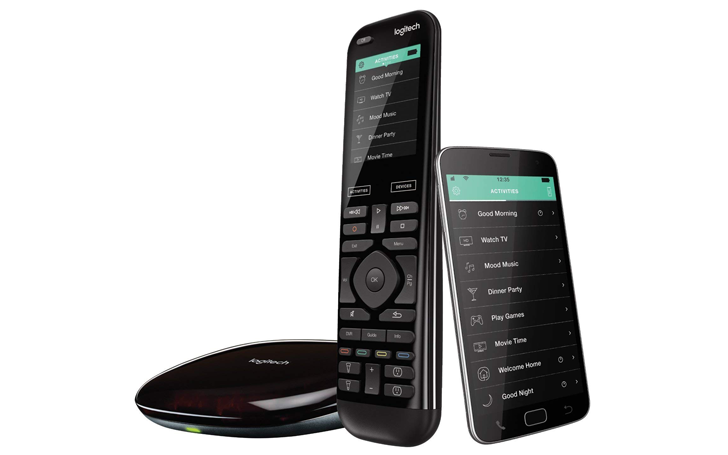 The Harmony Elite is essentially an internet connected universal remote. The system comes with a touchscreen remote, a hub, and a few mini IR blasters (there's also an app). You can program all your home theater devices into the remote and automate tedious things like switching inputs. The Harmony Elite also works with Google Assistant and Alexa, so you can yell at the TV, and it'll actually do things for once. Note: this will not make your favorite sports team play better. We've seen the Harmony Elite dip a little lower ($220) in the past, but that deal didn't include any extras. This time, the device costs $250, but Best Buy will send you a $50 gift card via email after you buy. It's a total savings of $150 if you count that. The Harmony Elite is available at most Best Buy stores, but you can also have it shipped.